Tessa Dunlop and Neil Oliver reveal the stories of trade and defence that characterise England's south east coast. Tessa Dunlop and Neil Oliver present their insiders' guide to our frontline shoreline - England's south east. From the heart of the capital to Hastings, they reveal the stories of trade and defence that characterise this coast. 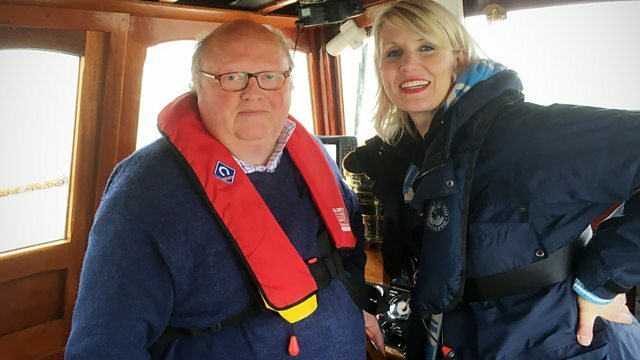 As well as selecting the best Coast stories from a decade of exploring these shores, Tessa hitches a ride with the Thames river police to the new London Gateway, where she gets an overview of Britain's trade with the world from the vantage point of a giant crane. From Ramsgate, she embarks on one of the Dunkirk 'Little Ships' to discover the vital role it played during the Second World War, before making her way to Dover, where she finds a magnificent Roman lighthouse that has guarded the shores for centuries.